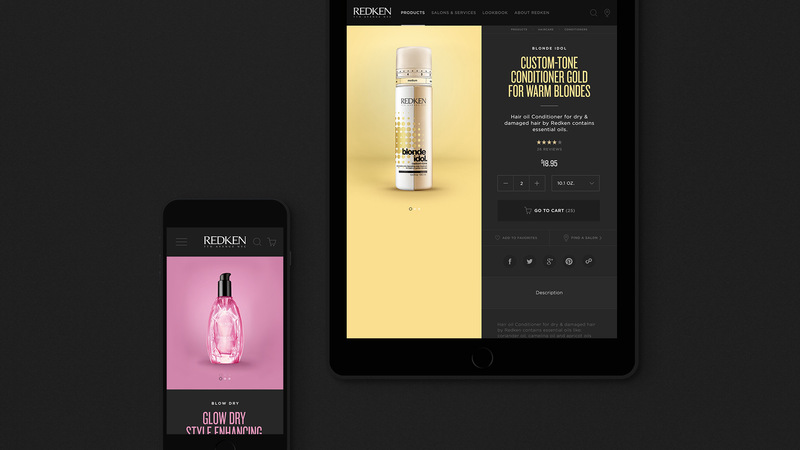 Reimagining Redken’s web properties to deliver a more personalized user experience that drives sales. How do you reimagine Redken’s web properties to reflect the brand’s vision and create a bridge between their online and offline experiences? Emphasis on Personalization: Content and messaging is personalized for every user, while also structured to deliver a more streamlined site experience. 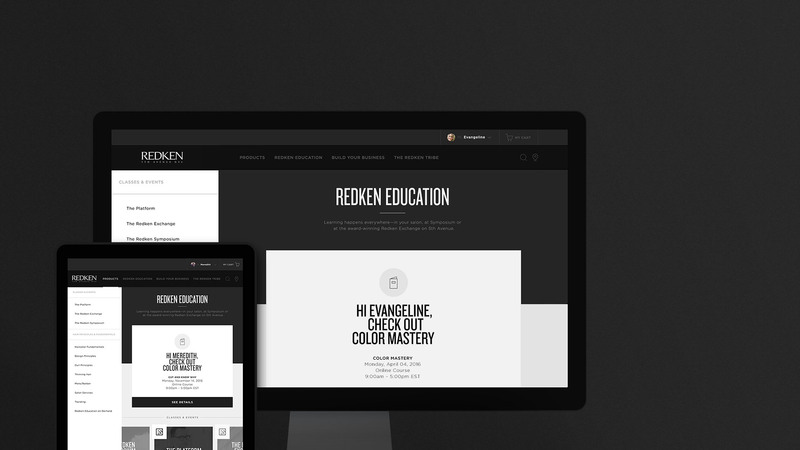 Spotlight on Education: We created a clear path for professionals to access Redken Education and online tools with an emphasis on fashion, inspiration and innovation. Setting New Standards: A new look and feel inspired by the products, and a refreshed tone and voice, bring the site up to date. The consumer focused Redken.com and the professional focused Redkensalon.com sites had not been redesigned for over 9 years and lived on outdated platforms with technology limitations. Redken consumers needed a way to learn about the brand and shop the products, while professionals lacked a place to engage with the brand, explore Redken’s education tools and connect with fellow stylists. 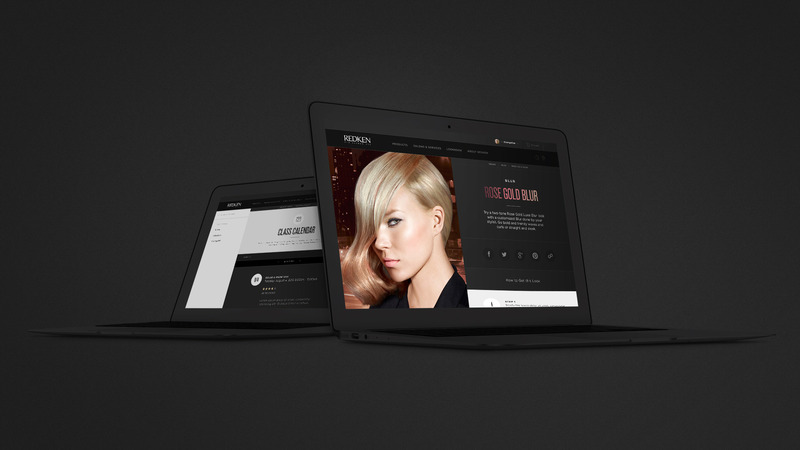 Firstborn completely reimagined Redken’s web properties to reflect the brand’s vision, drive sales and create a bridge between the online and offline experiences for both audiences. We redesigned the sites with a mobile-first, responsive approach, elevating the look and feel and optimizing e-commerce with a Sitecore CMS and cart transfer to Demandware for checkout. We completely restructured and reorganized the content experience so professionals can now easily access personalized educational curriculums online. With a user-centered design focus, we positioned the product as the hero and translated its colors effortlessly into the rest of the site’s design. We’ve made it easier than ever for both professionals and consumers to purchase Redken products across screens while engaging with the brand and community. The site launched in January 2016 and we anticipate that the redesign will drive sales by delivering a beautifully designed and intuitively navigable site experience and purchase journey.